If you have decided to invest in a Precious Metals IRA in 2019 (or rollover a previous retirement vehicle such as a 401k or 403b to a Gold IRA), your next step is to decide which Precious Metals IRA company to work with. This is not a decision to take lightly, as some companies have a better track record than others. Some have even been accused of fraud! Also, it is important to know that some companies handle the entire process (including dealing with your IRA custodian and providing storage) while others simply sell the metals. Here is a comparison chart that will help you make an enlightened decision. We have extracted the most recent ratings of each company on authority review boards such as the BBB, BCA, TrustLink and others. Click on the “View Full Review” button next to each company to see a more detailed review. Don't forget to print out this page for future reference! Note: we strongly recommend that you call a few different companies before making an investment decision. Portfolio Diversification and Protection. As pointed out previously, gold has had a negative correlation to stocks, bonds and the dollar. Is your portfolio stock-heavy? All successful investors will tell you that when it comes to investing: you don't want to put all your eggs in the same basket. The more positive reviews a company has from its existing client base, the better. Additionally, ratings from authority bureaus like the BBB (Better Business Bureau), BCA (Business Consumer Alliance) and Trustlink are paramount. Feedback from previous clients on websites like YP, Complaint Board and Yelp are also great indicators of the company's professionalism and service quality. Always choose a company with flat annual fees, as opposed to companies who have a scaled fee model that grows with the account size. This is especially true for medium and large investors (c.f. $50,000+) and those planning to grow their account size over time. Some of the companies we reviewed can charge thousands of dollars per year for large accounts! Some clients reported that they waited up to 60 days for their accounts to be set up and their precious metals to be delivered. This is simply unacceptable in today's uncertain economic landscape. Some agents will try to push you to invest in collectibles and numismatic coins simply because these will yield much high profits for them. This is a major red flag and we strongly recommend that you stay away from companies with such practices. Collectibles are NOT recommended for investors, and they are not approved by the IRS for IRAs. When you contact a Precious Metal IRA company, ask them as many questions as you can to see how knowledgeable and helpful they are. If you feel rushed or pushed into collectibles, move on to the next one. # 5 Other Alternative Investment Options Available? 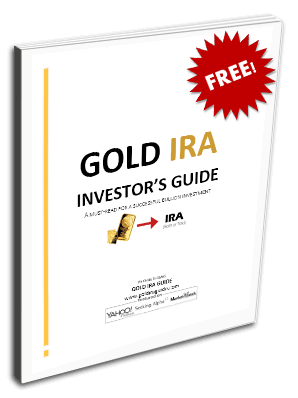 Your new Gold IRA can accommodate additional alternative investments in the future since it is a self-directed IRA. Is the company you are working with able to offer additional alternative investment options such as cryptocurrencies or other potentially interesting investments that you could include in your portfolio? That is a question you should ask. We would like to remind you that we are a 100% independent site and that none of us work for any of the companies reviewed on this page. We recommend that you always do your due diligence when choosing a company to work with. Call a few, and request their free kits to get a better idea of their offering.